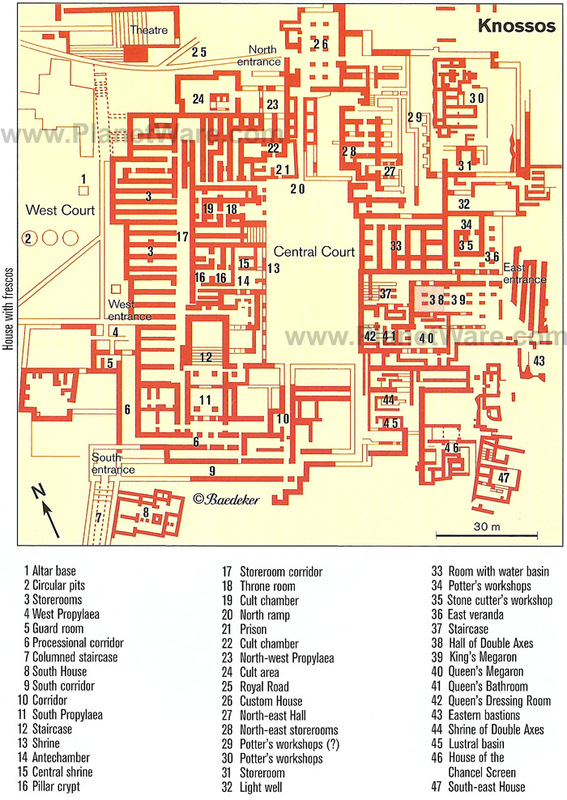 Form: The palace at Knossos is actually a large warren of complex and confusing passageways, rooms, and patios that cover approximately six acres of space. 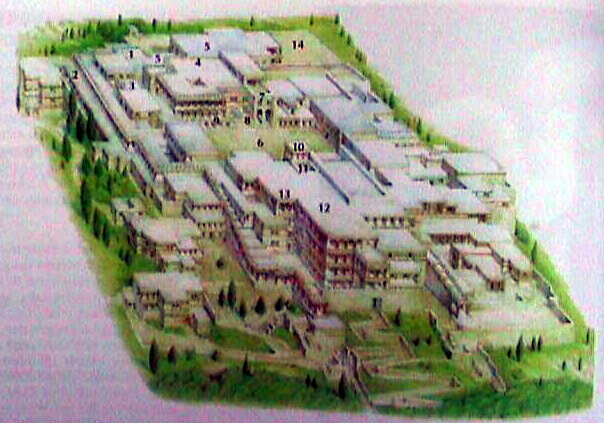 It was originally laid out on a grid plan but because of earthquakes and rebuilding the complex in some areas has deviated from its original plan. The overall plan includes loving quarters, gathering spaces and storage areas. 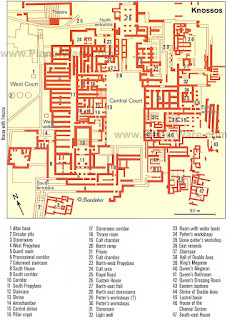 Some of the planning and technologies used in the complex include underground terra-cotta pipes, bathrooms and toilets, submerged food storage areas and airshafts and internal courtyards which allow for cool air to circulate throughout the structure. Much of the complex is built with dressed stone (mud bricks and rubble faced with local cut stone), ashlar masonry (alternating courses of masonry) and trabeated (post and lintel) masonry. 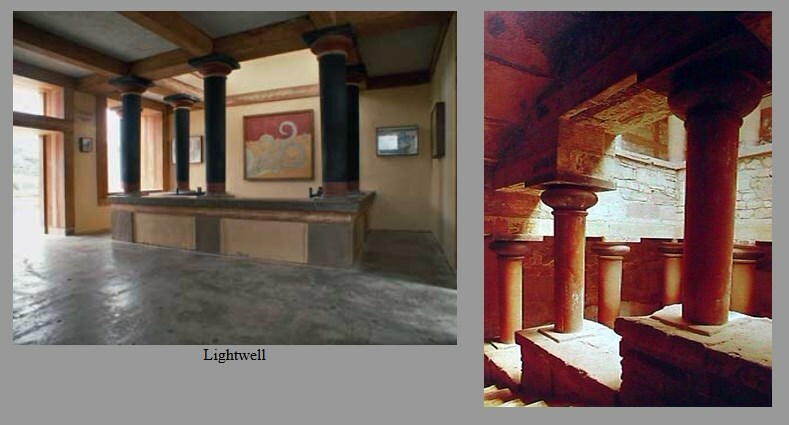 The columns used to support the structure were originally made of wood however, modern restorers have decided to replace the lost columns with concrete or stone. 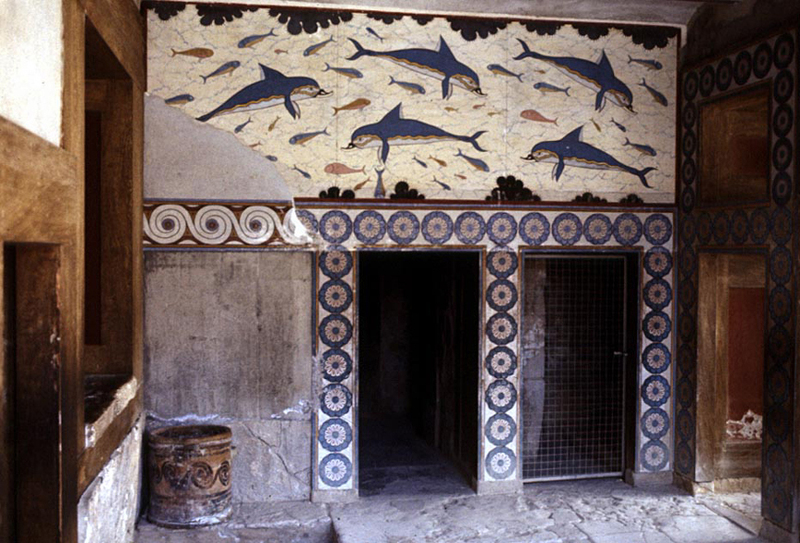 Much of the complex was brightly painted with frescoes and some encaustic paint. 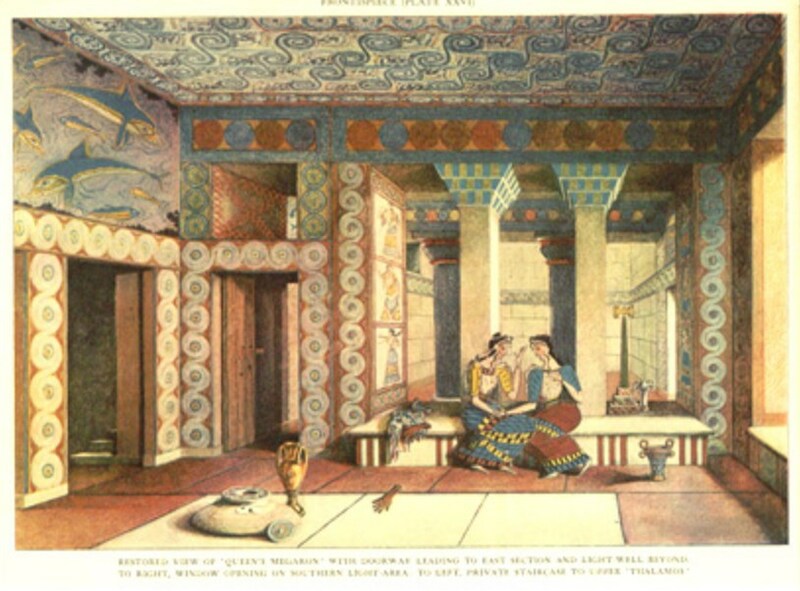 It is not known if Sir Arthur Evans' reconstructions and the colors he chose are completely accurate. 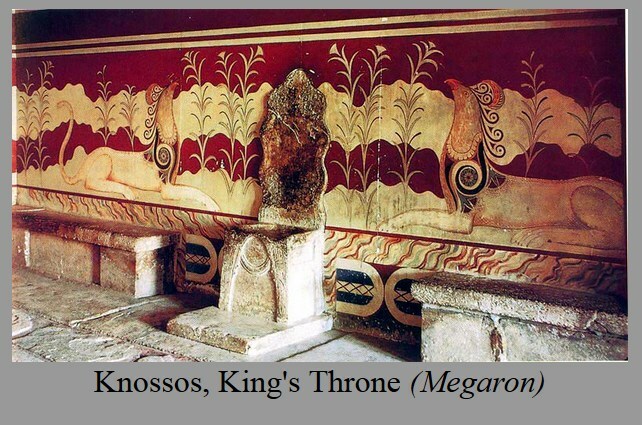 Context: The people of Knossos seem to have been a peaceful, wealthy and self sufficient culture. They possessed a writing system. 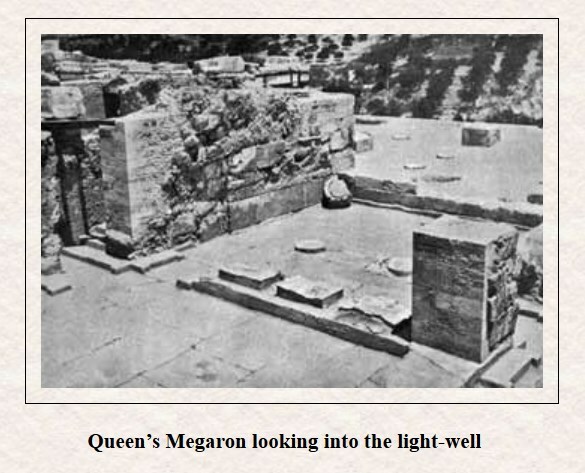 We can assume that they had engineers, artisans and a similar distribution of labor that we have. 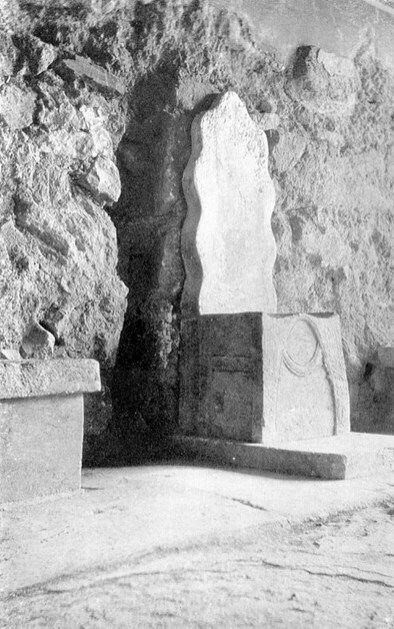 We do not know what kind of government or religion they had although recent scholarship seems to indicate that there were a series of royal families located at different sites around the island. 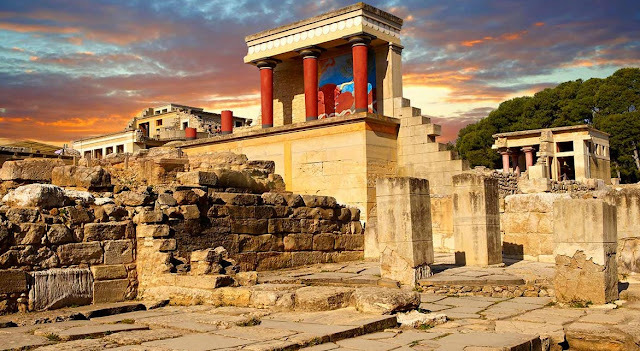 We do know that the palace was legendary to the ancient Greeks of the mainland who saw the Minoans as ancient enemies who were responsible for committing treacherous acts against the ancient Athenians (see the Legend of the Minotaur in Stokstad). 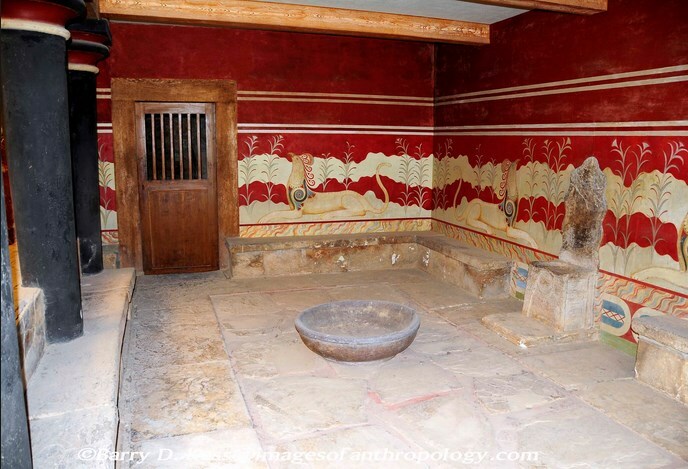 The motif of a double headed ax exists throughout the decorations at Knossos and through a series of historical games of "telephone" the term labyrinth (the Greek term for double ax) has been passed down to us through the Greeks and come to mean maze.Around 1900 Sir Arthur Evans, a British archaeologist and treasure hunter discovered, excavated and renovated much of Knossos. Much of what we see today may not be accurate because Evans replaced and rebuilt sections according to whims and aesthetic choices based on his opinion rather than careful research. 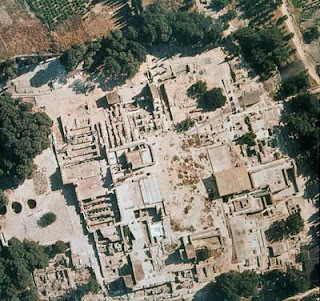 It is unfortunate that Evans took some of the liberties he did because archaeological sites are finite resources and once they have been explored they are left depleted. 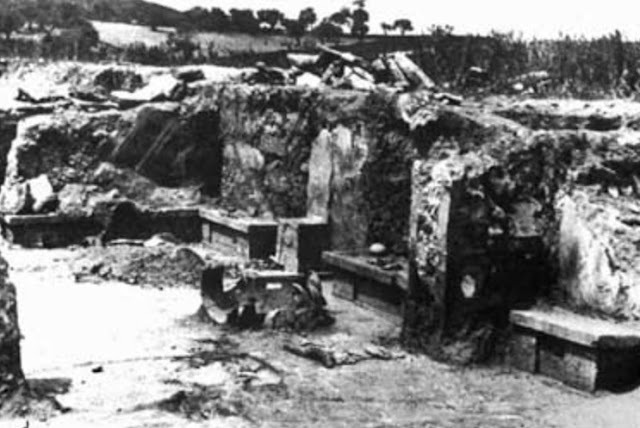 Today, archaeologists and art historians follow a much stricter code of conduct and rules that govern how a site is excavated and in what order. This preserves the site and allows a much better picture of the culture based on scientific method. Form: This is one of the internal airshafts that allowed for light and air to circulate. 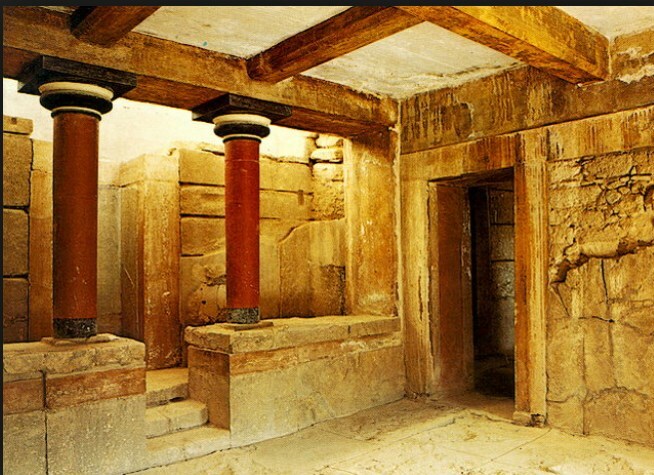 This type of structure is referred to as trabeated or post and lintel. 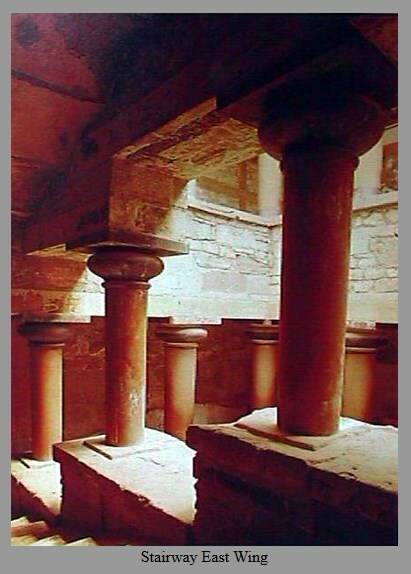 The columns serve as the posts and the wood or stone that spans the space is called the lintel. The original columns were made of wood and were designed to have an inverted style. The thin end is at the bottom and the shaft of the column grows thicker near the top or capital. This is very different compared to similar columns from Greece and Egypt. Iconography: These columns unique shape is iconic of Knossos. 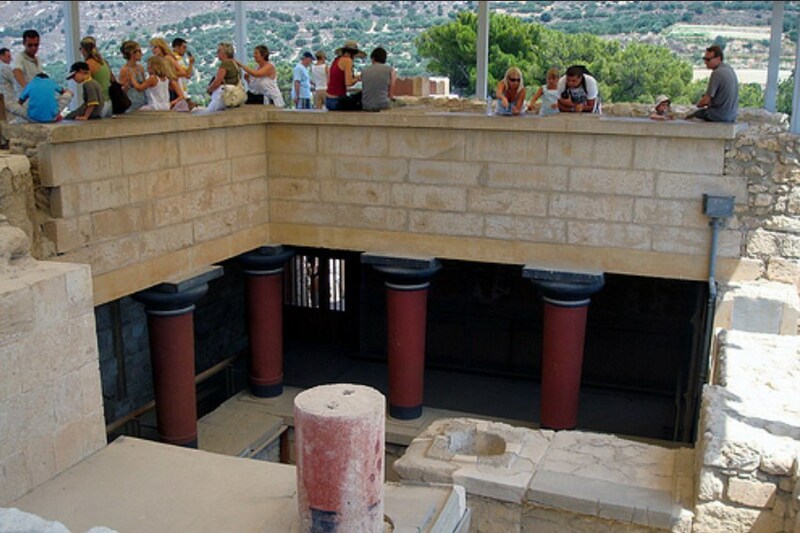 Context: The unique shape of the columns is unique to the structure of Knossos but there is a sculptural representation of this column on the mainland at Mycenae and this may indicate some kind of trade between the mainland Greek culture and the Minoans. Form: The central scene is a maritime scene that does not appear to have a central focus. The paintings of the dolphins are done with contour lines that are then filled in with color. All of the fishes are done in profile and there is no attempt to show any kind of pictorial depth or space. Instead the fishes bodies are scattered about as a type of wallpaper pattern.These paintings were done in a technique called fresco. 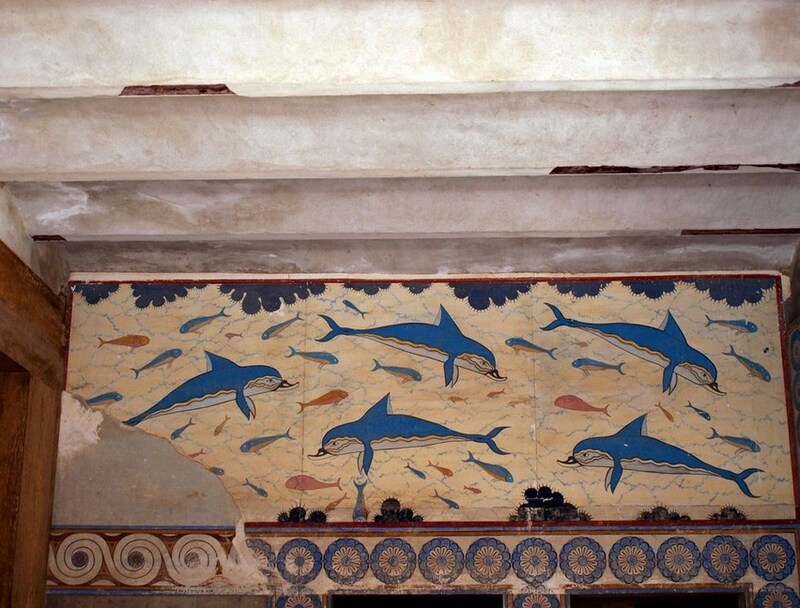 Iconography: It is also possible that the Minoans viewed dolphins in a similar way that we do. Seeing them as intelligent and friendly and possibly entertaining creatures. 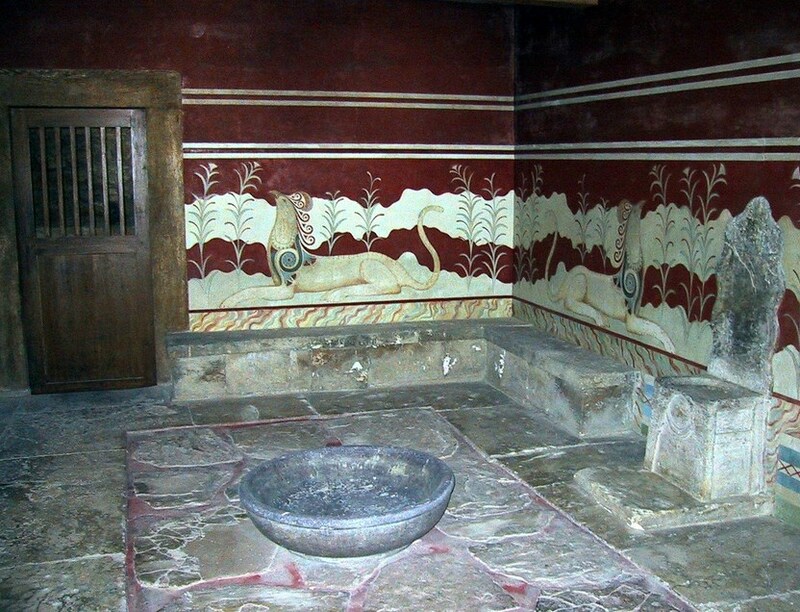 A problem with these frescoes is that Evans found them in the center of the room and it is possible that they were actually floor paintings. There was a Minoan tradition of this. Also, Evans only found two or three dolphins, the rest are restorations.